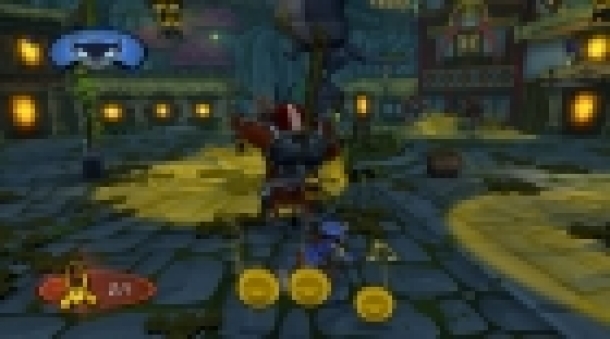 Sly Cooper: Thieves in Time is a platformer game, with stealth elements, developed by Sanzaru Games, and published worldwide by Sony Computer Entertainment for the PlayStation 3 and the PlayStation Vita. 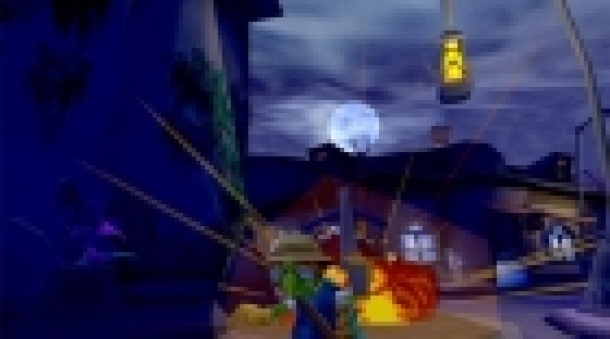 It is the fourth game in the Sly Cooper series, and continues where Sly 3: Honor Among Thieves left off. Sly Cooper and the whole gang return with an epic brand new adventure. The pages of the Thievius Raccoonus are disappearing and Bentley, now keeper of the ancient Master Thieves' book, must round up the gang and save the Cooper Clan legacy from being destroyed forever. After the events of Sly 3: Honor Among Thieves, Sly is faking amnesia and is spending all his time with Carmelita Fox. Meanwhile, Murray is on the van stock racing circuit, and Bentley is spending his time with Penelope developing a time machine. Suddenly, Penelope disappears and the pages from the Thievius Raccoonus are being erased. The basic premise of Sly Cooper: Thieves in Time will stay true to what the Sly Cooper games have set forth before it. Players will have to sneak around, trying not to get the attention of enemies, doing missions, and plenty more. 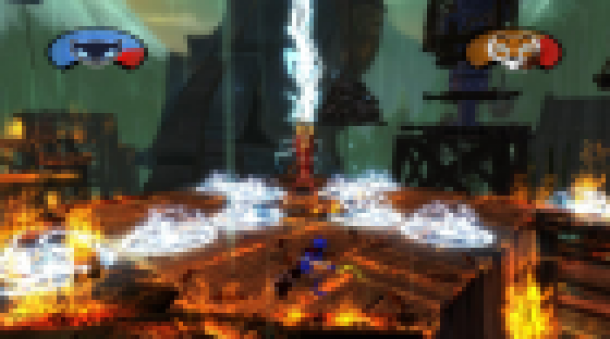 Sly will have his health bar returning from the Band of Thieves and Honor Among Thieves. 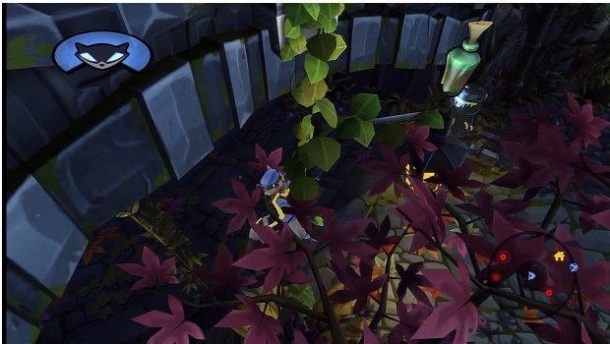 Sly can also sneak up behind guards, and if he goes unnoticed, he will be able to pickpocket coins from them, as well as items needed for the story. 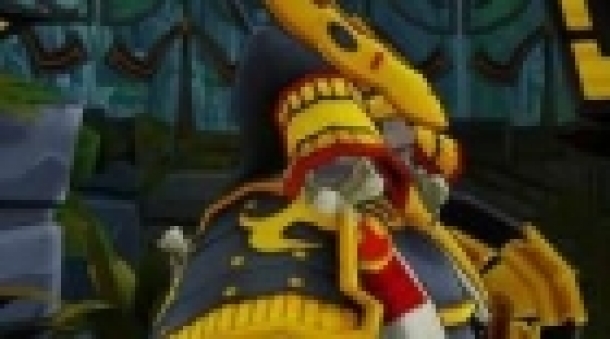 Costumes in previous games were used as disguises, but costumes in Thieves of Time will have a certain gameplay aspect attached to them, granting Sly new abilities. Every character in the game will have special abilities that they can use, as well as buy from ThiefNet with coins. 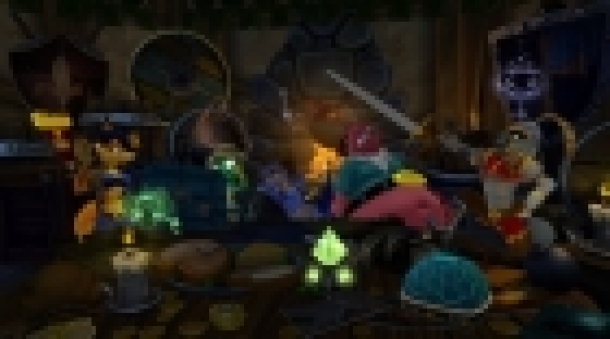 Also, as the player gathers the Clue Bottles from the hubs, they will gain new abilities. There are 3 different kinds of collectibles for you to gather in Thieves in Time. These are hidden through the hubs in each episode, as well as in the individual jobs you go through. Collecting all of these will usually unlock various things, such as the arcade machines in the hideouts. Welcome to the official Gamewise walkthrough for Sly Cooper: Thieves in Time. This is a work in progress, so be patient while the walkthrough is uploaded to the site. Sly sneaks back into my heart. What do people think of the Sly Cooper games?